Visit the Ajanta & Ellora caves for a fascinating tour of India’s past through ancient Buddhist paintings and rock-cut architecture. More information here. 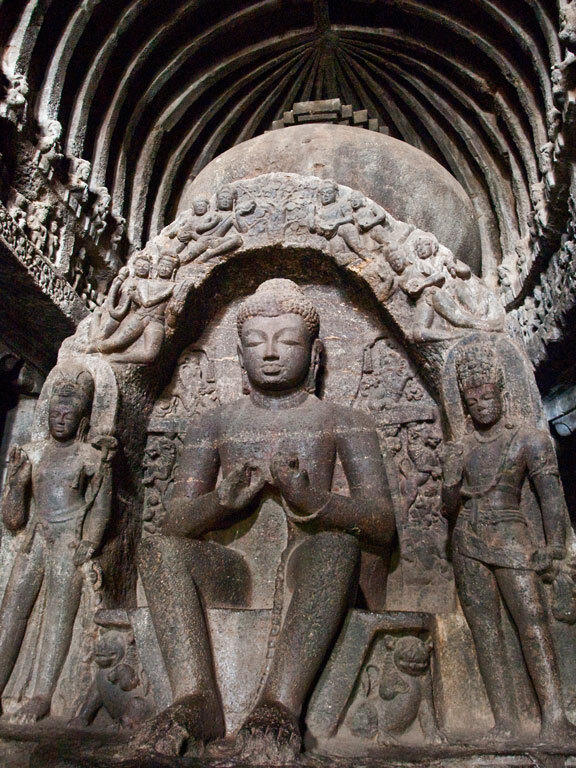 The Ajanta and Ellora caves have been declared UNESCO World Heritage Sites. 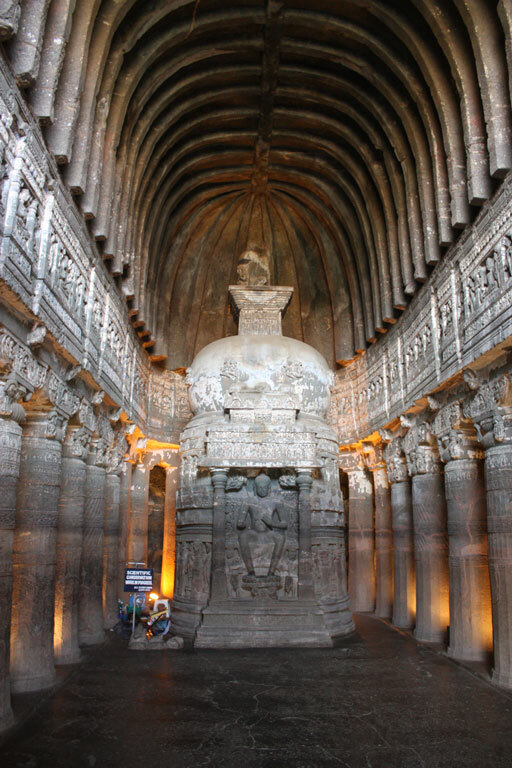 The Ajanta caves date back to the 2nd century BC. Hewn out of solid rock by Buddhist monks, the caves are full of beautiful paintings and sculptures depicting scenes from the life of the Buddha and the popular culture of that era. 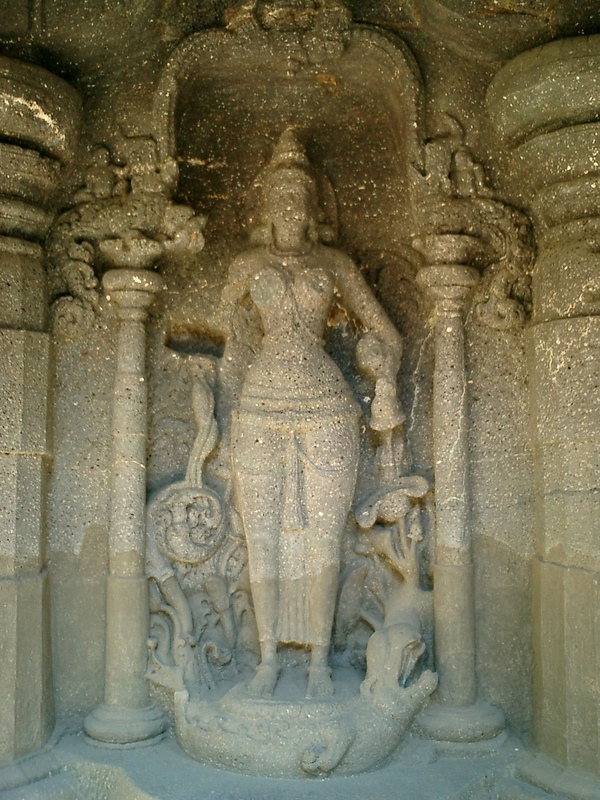 The Ellora caves have been dated between the 5th and the 10th century. These 34 caves comprise temples as well as monasteries and showcase all three major religions of the time- Hinduism, Buddhism and Jainism. A visit to the Daulatabad Fort and the Bibi ka Maqbara- a replica of the Taj Mahal- round off this tour. Arrive into Aurangabad on a morning flight. Transfer to your hotel and proceed for a half-day sightseeing tour of the Ajanta/ Ellora complex. Don't forget to take a torch- it'll come in handy inside the caves. Return to your hotel at your convenience. Overnight Aurangabad. Depart on a full day excursion to see the world famous frescoes at the Ajanta caves- a complex of 24 monasteries and 5 temples set in a secluded hillside, about 100 km away. Return to your hotel via the Bibi ka Maqbara. Overnight Aurangabad. Take a half-day sightseeing tour of the Ellora temple complex (30 km away) and the city, including Daulatabad Fort and Aurangzeb's tomb. In the evening, transfer to the airport for your flight out. Note: The Ajanta caves are closed on Mondays and the Ellora caves on Tuesdays. 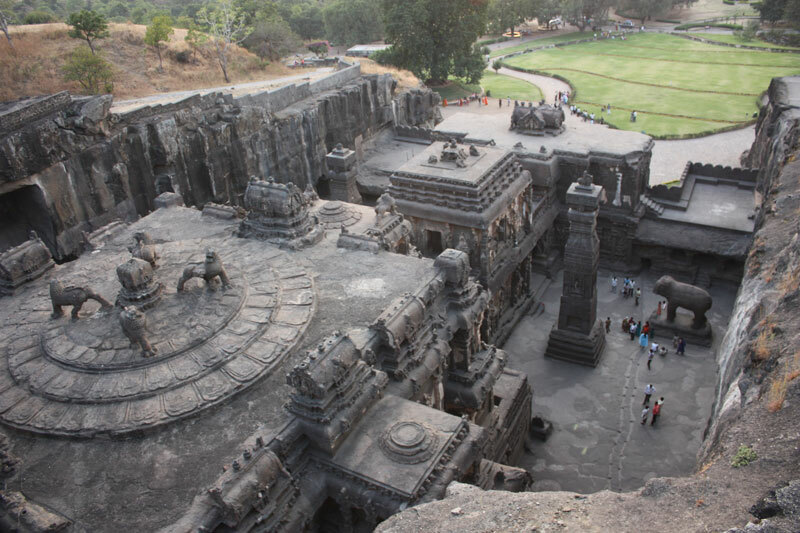 Ellora is a symbol of a high level of religious harmony prevalent in ancient India; it also points towards the common thread running through Hinduism, Buddhism and Jainism. The 12 Buddhist caves depict Lord Buddha in various poses. 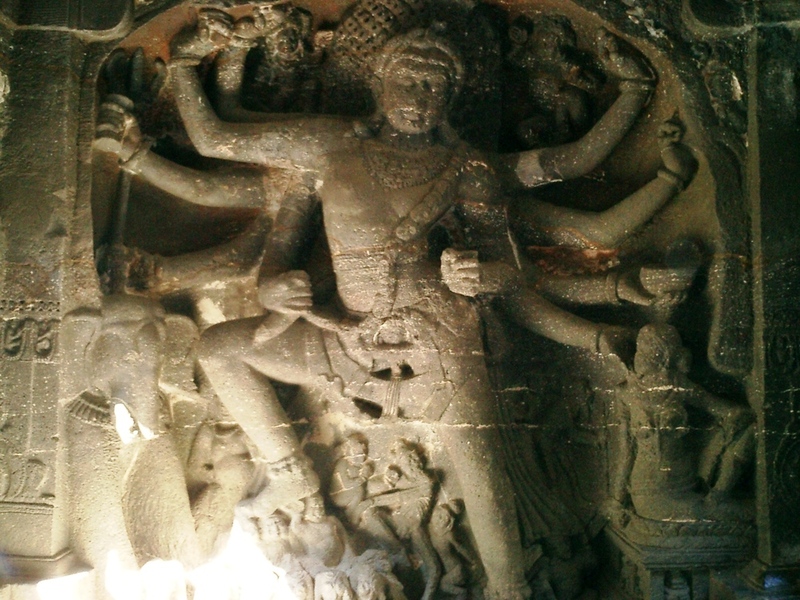 The 17 Hindu caves contain carvings of the Hindu gods- Shiva, Vishnu, Durga, Parvati and others. Cave 16 is the Kailashnath, carved out of a single rock, covering an area twice the size of the Parthenon in Athens.